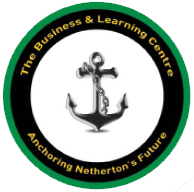 A partnership agreement between Black Country Housing Group and Dudley Metropolitan Borough Council means that the Savoy Centre also now hosts the Netherton Library. This initiative has transformed the original entrance and reception area in the Savoy to a shared space incorporating both a reception for the Savoy and a modern and well stocked library and allows the local authority to continue to offer a valuable service to the local community. The opening hours for the library are 9am to 5pm on Tues, Wed and Thurs; 9am to 7pm on Mon and Fri; and 9am to 1pm on Sat.